Health care systems in West Africa that collapsed during the Ebola epidemic must be rebuilt urgently to provide basic services and confront other killer diseases, the World Health Organization said on Thursday. Recovery plans in Guinea, Liberia and Sierra Leone will cost $2.3 billion, only half of which has been pledged, and donors will need confidence in good governance to provide more funds, a senior WHO official said. “If we want to ensure that this crisis doesn’t happen again we need altogether to come up with this money,” Dr. Ruediger Krech told a news briefing. More than 11,000 people have died of Ebola since the world’s worst epidemic began in December 2013, according to the WHO. 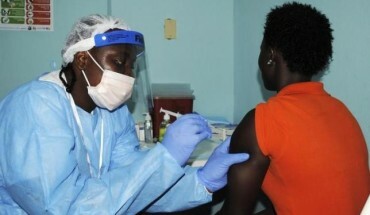 Guinea and Sierra Leone reported 35 new cases in the past week, four times as many as the previous, in a reminder that the virus “will not go quietly”, the WHO said on Tuesday. Liberia was declared Ebola-free this month. The toll includes 815 health workers, WHO said. “The impact of Ebola on health workers has been catastrophic and very wide-ranging in the three countries,” said Dr. Ed Kelley of WHO’s service delivery and safety department. Infections of health workers are largely preventable through protective equipment and early triage of patients, he added. Half of the 815 were frontline nurses or nurse aides. “The devastating numbers of nurses who have lost their lives shows there is clearly an essential need for significant strengthening of safety policies, and the provision of adequate protective equipment and appropriate training,” David Benton, head of the International Council of Nurses said in a statement.